Gemstone Windows is the premier window sales and installation company serving greater St. Paul - Minneapolis and the surrounding area. We have an uncompromising commitment to exceed the expectations of our customers, aiming to please every client, no matter their preferences or budget. We pride ourselves on the excellence of our products, combined with flawless installation, and demand only the best. Weve logged many hours qualifying our partners, and are at ease knowing that we only offer products from reputable, top-rated manufacturers. Now is the best time for installing new energy-efficient windows. Energy efficient windows provide more benefits than just energy savings. Our windows specialists are highly experienced and qualified to offer product knowledge, detailed education on installation practices. We have the ability to diagnose potential issues that exist in your home. We stand behind our work. 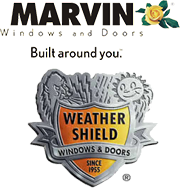 Your windows are backed by full manufacturers warranties and our industry-exceeding, ten-year labor warranty. Rest assured your home and family will be safe. We are fully insured and registered with the Minnesota Department of labor and Industry. Our crews are drug-free and background-checked. Exterior remodeling may be stressful enough as is, we offer personalized financing plans to fit any budget, taking the stress out of financing your project. We also accept all major credit cards!